Mithali Raj has played four World Cups. Jhulan Goswami has played three. In days, they will both begin what is likely to be their last. Think Pakistan bowling and you think Wasim Akram and Waqar Younis. Think Indian tennis and you think Mahesh Bhupati and Leander Paes. So too are these two names synonymous with one sport: think women’s cricket, and you must think Raj and Goswami. This is partly because they are the only surviving members (in cricketing terms) of India’s most successful World Cup team. The 2005 edition of the mega-event. 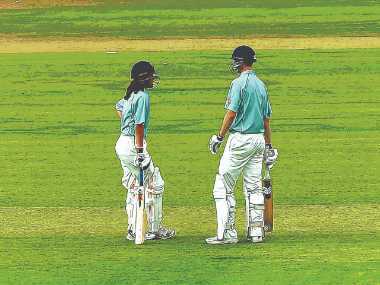 The last World Cup before women’s cricket changed, before the global game came under the purview of the ICC. India, perpetual semi-finalists but for decades nothing more, had made their first-ever final. In a tense semi-final against defending champions New Zealand, Raj’s 91 had taken India to a 200-plus score, a stiff target for the times. Before that, Goswami had taken four wickets and effected a run-out against a formidable England, helping skittle them out for 139. But in the final against Australia, India unraveled. 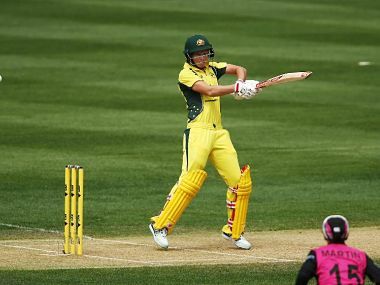 A dropped catch allowed Australian skipper Karen Rolton to convert her half century into a 100. Then, four of India’s top order were run out in a chase of 215, the one-sided contest a poor cap to a red hot campaign. Raj was fifth on the top run scorer list, and all three leading wicket-takers in the tournament were Indian. Goswami had 13 in her eight games, behind Amita Sharma (14) and legendary left-arm spinner Neetu David (20). Considering it was only Raj’s second series as captain, it was — and remains — a result India could be proud of. Cut to the 2009 World Cup in Australia. The selectors had replaced Raj at the helm with Goswami the previous year. India went into the tournament having been whitewashed by Australia just a few months previous. But after an insipid loss to England, India played an inspired game to beat Australia in the Super Six. This time it was Goswami at the forefront. 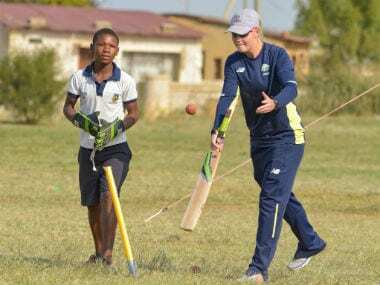 She broke a stubborn opening partnership with a beauty of a delivery, cutting through the dangerous Shelly Nitschke’s defence and rattling her stumps. It helped India defend the 234 that the batters put on through some aggressive cricket. That set up a virtual semi-final against New Zealand. Despite having 207 on the board, India lost, but did manage to beat Australia twice in a matter of one week to claim third place. For Raj and Goswami, it was another case of being so near, yet miles away; dropped catches in the game against New Zealand would have left them with many ‘what if’s on the flight home. The 2013 World Cup was a disaster for Raj — back in charge — and her team, as they crashed out of the tournament in the first round. India surrendered home advantage in what promised to be an exciting campaign; they started with a thumping of eventual runners-up West Indies, and a Harmanpreet Kaur century was a bright spark in a loss to England. But a shock defeat to an ascendant Sri Lanka saw them fail to make the semi-finals in a global event for the third straight year. Raj and Goswami are now both 34-years-old. They started their careers just a year apart. And both go into this World Cup riding a wave of records. Goswami last month became the highest wicket-taker in women’s ODIs, surpassing Cathryn Fitzpatrick’s mark of 180 sticks. Raj is on an incredible run of six consecutive scores of 50 or more in ODIs; one more and she will hold the record. And both go into the tournament acutely aware that this could be their last shot at the three words they want against their name: World Cup Winner. Sport is littered with accounts of supremely-talented players who finished their careers without winning the title they set their sights on. Lionel Messi would probably sell his right kidney for the kind of success with the Albicelestes that he enjoys with Barcelona. Gianluigi Buffon still does not have a Champions League medal. And most vivid in our minds, AB de Villiers is still searching for a global title with South Africa. The Women’s World Cup 2017 could be the last chance for Raj and Goswami to crown their careers with immortality. But for everything they have done for Indian women’s cricket, crown or no, their heads can always be held high.